Now is the time to start thinking about building that dream home, since it is starting to feel like spring. 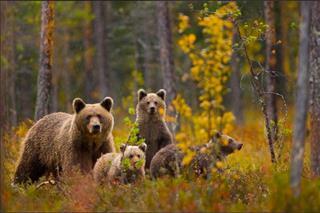 Come take a look, as we have 4 show lot models on our lot for you to explore. If you're serious about building a new home using state of the art modular technology then we can help!! 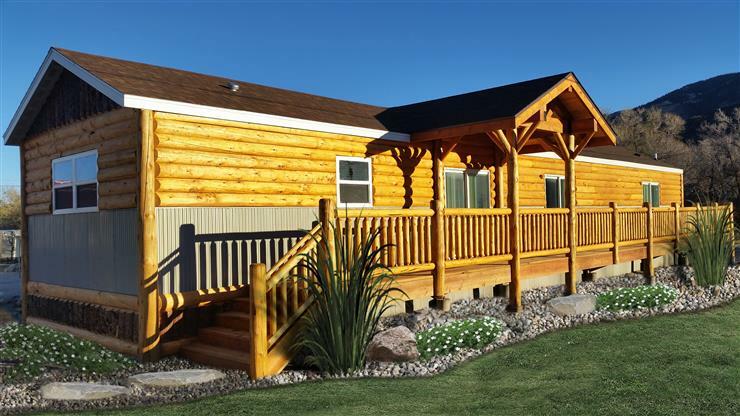 This site is your guide to building your dream home or cabin with a team who meets and beats your expectations by bringing your dreams to life. Please note that there aren't any prices on any of the floor plans or models because each home we build is customized to each individual customer. There are many structural factors that change from home to home. Examples are; location of the building site, roof pitch, snow load, wind load. If you want an upstairs or basement and the extent of all the finishes. There are many interior features that affect the price as well from basic features to over the top. Please contact one of our sales representatives to get a better break down of the price of your ideal home. Request your free CD of floor plans and pictures today. 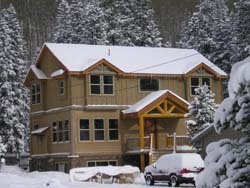 Great Western Homes is located in beautiful Poncha Springs Colorado, just west of Poncha Lumber. We specialize in building your dreams, helping you create not just a house, but a home. In the picture below the top of the home was built as a Cape Cod with an upper floor and the bottom was built as a ranch single level put over a basement. 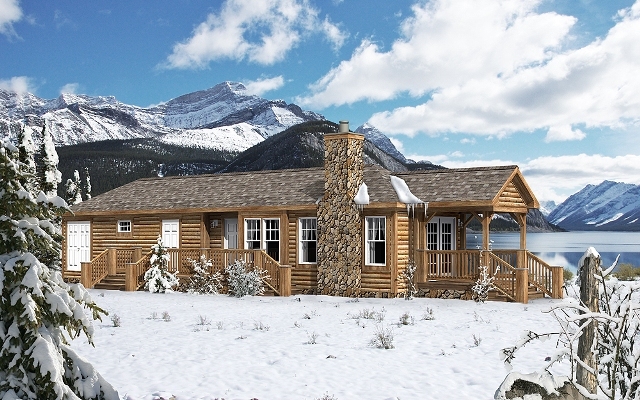 Let us show you how easy it is to build and customize your dream home or cabin! 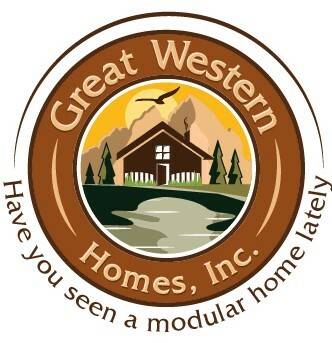 Great Western Homes has over 30 years of experience in the off-site custom modular home industry. 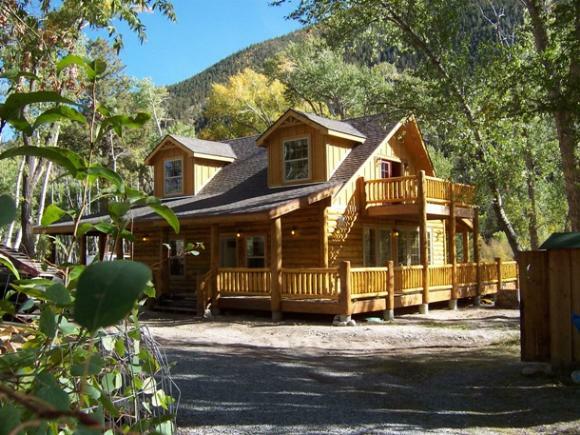 We can offer you distinct floor plans ranging from your getaway cabin to your luxury showcase home. Over 450 homes later and we still love what we do. Which is helping you build your dreams one step at a time. To help you in your building decisions we offer two codes you can build to. HUD code: This is the least expensive of the two and the transport carrier stays under your home and is typically set in a park style setting, but can be put on private property. IRC code: This is the same code that site built homes are built to. The IRC code (International Residential Building Code) has no metal frame or chasse, it is set on a permanent crawlspace, foundation, or basement. This code is assessed by appraisers and banks as site built comparable and holds its value just the same as site-built homes. Remember we are here to help answer questions about how to start building your dreams. We build in Chaffee, Fremont, Park, Custer, Gunnison, Lake, Pitkin, San Luis as well as many other counties, and we build 365 days a year. Please feel free to call and ask about other counties that we serve. We offer special pricing, financing, floor plan changes, or we can custom design your new home or cabin. We can even meet you onsite to help you stake out your new home location and services. Contact us for more information by clicking on the Colorado state flower below. Our homes are built off-site in a controlled environment using state of the art technology and top quality materials. One of the many benefits of an off-site construction built home is TIME... While your foundation is being dug and poured your home is being built by professionals nestled in the walls of the production facility. Doing two stages at once speeds up the process of your home saving you substantial interest on your construction loan. We use two different off-site custom building facilities that have built thousands of homes over the years. We bring quality, convenience, and experience together to offer you one of the best-built homes on the market today. We also offer green building and energy compliance packages and many floor plans to choose from, our customers find it easy to pick a design that meets their family's needs and budget. We understand that buying or building a new home can be a daunting challenge and that is why we offer a wide range of plans with so many options to choose from that there is simply nothing we can’t do to make your dreams a reality. Custom building is truly the key phrase when you sit down with us and utilize our expertise to take what you want and bring it to life. We also understand that a home is one of the biggest decisions and expenses in anyone’s life so we strive to meet your needs with floor plans that range from $60 to $70 for HUD and $80 to $150 per square foot for IRC coded homes depending on level of finishes and size of home you choose. Please feel free to call us and ask all those questions that you have been wondering about or click on the columbine picture at the bottom of every page to request any information you need. Remember we're here to help you! Go to the left menu bar to see floor plans for both HUD & IRC homes. We also have some fun links and tools on our links and tools page. Don't forget to visit that page and use the mortgage calculator to get a rough idea of what your payments could be, as well as some other calculator features which can help you with many of your mortgage criteria or questions.